Whether you’re concerned about trade routes, worried about tariff hikes or simply bored of the B-word, we’re all in the same boat. And for small businesses who can’t afford to have a plan of attack for every Brexit eventuality, the uncertainty can halt expansion dreams. With the technology sector growing so rapidly, we can’t afford to let political turmoil slow down growth plans, which is particularly true in the smart-home technology sector. Tech giants such as Apple, Amazon and Google have successfully introduced virtual assistants into the mainstream, kick-starting consumers’ smart home makeovers – so much so that demand in Europe on Christmas day famously overloaded Amazon Alexa . This acceleration in adoption and spike in interest makes now the perfect time for British-born smart-home tech companies to expand across the channel, making their mark on new markets and opening the door to new revenue streams. 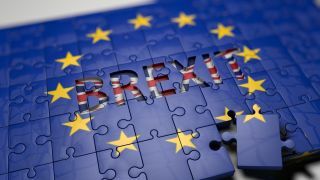 However, the topic of Brexit is forcing SME British businesses to question whether they should wait and see what happens next, or take an educated risk? Cutting our ties with the EU will of course bring new logistical challenges, from dispatch and delivery complications, to the potential cost implications of WTO export tariffs, but there is little to be truly scared about. Providing businesses have done their due diligence ahead of launching, these are merely bumps in the road to European success. A third of UK SME businesses plan to head straight to Germany when considering setting up operations in Europe because its strong economy and distribution networks are an attractive prospect. Second only to the US and representing $47 billion of trade , Germany has long been a priority expansion route for British business. Despite the uncertainty of Brexit, this is unlikely to change significantly for the next three to five years, particularly considering the golden opportunity Germany represents for British tech companies specifically. For smart-home brands, the opportunity is ripe for the picking. Amongst Western European countries, unprompted recognition of the term ‘smart home’ was highest in Germany, at 71.4% . It’s also significant to note, 43% of people said they are planning to invest in smart-home technology in the next three to five years . Businesses need to be brave and make the most of the opportunity now. With interest growing in the smart home market, waiting a couple of years will be too late, as the market will be saturated before we know it. Working closely with large tech brands during your journey across the channel can play a pivotal role in expansion success. Small tech companies need to find the right retail partners and distribution networks to help drive credibility in a new market and to get the brand in front of target customers from day one. Taking Lightwave as an example, we worked closely with Apple on every aspect of our European expansion. From product and packaging design through to in-store and online retail space, and distribution. By collaborating with one of the biggest tech and retail brands on the planet, this naturally creates a halo effect when entering a market, while its distribution and retail footprint within the territory is invaluable. But even with a big player on side, there are key considerations to take into account. While startups and SMEs can be agile and adapt quickly to changing plans, the ability to scale resource and production timelines in order to meet the fast pace of tech giants can present a challenge. It’s important to be realistic when assessing output capabilities, so the business is able to meet demand. Getting to know your new customer base is crucial to building market preference and brand confidence. This means acquainting yourself with the individual quirks and demands of each European country and localising your proposition for that market. In Lightwave’s case, where our products are retrofitted into homes, it was crucial that we understood the local housing market and buying behaviours of residents. In comparison to the UK, home ownership in Germany is significantly lower. Based on insight into the level of investment they’re willing to make and what drives their rental decisions, we adapted our messaging to appeal to the local market’s needs and requirements. Naturally, when entering a new market, there will be established competitors owning the space. This can work in your favour and provide valuable key learnings about what works and more importantly, what doesn’t. As a rule of thumb, German consumers are typically price conscious but loyal to brands once won over. Assessing the current product offerings and price points of competitors will give a good indication of what the market is willing to pay and enable you to price your proposition competitively. In order for the smart home technology market in particular to continue to grow on a global scale and for the UK to maintain its leading position as a tech innovator, it is essential that brands look to expand beyond the borders of Britain and gather the courage to invest in European expansion strategies. With the support and scope of tech giants, there’s a huge opportunity for smaller British businesses to ride the Brexit wave and enter into Europe. In turn, strengthening the UK’s position as a tech leader, in spite of the political turmoil. While trade discussions continue, start-up and smart tech companies should question and challenge themselves to be brave and recognise the attractive investment within their reach, particularly in countries like Germany which boast a strong economy and could offer an array of exciting new beginnings, thriving revenue opportunities and the opening of many new doors.